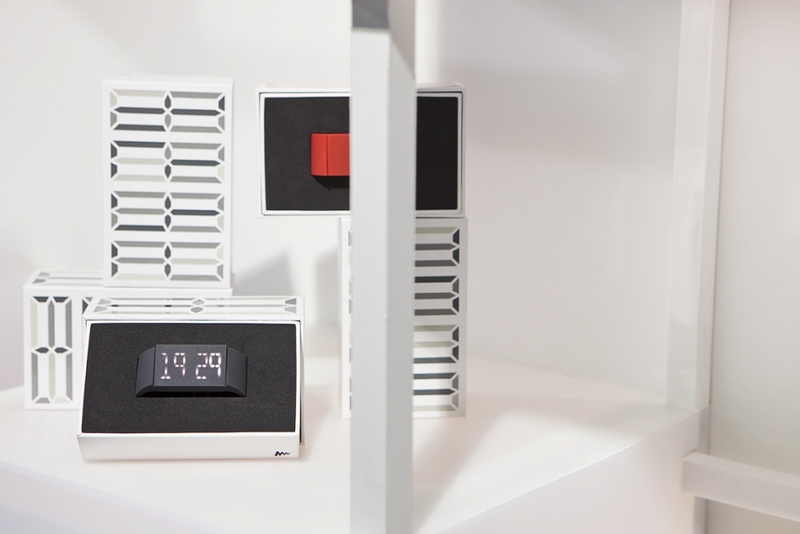 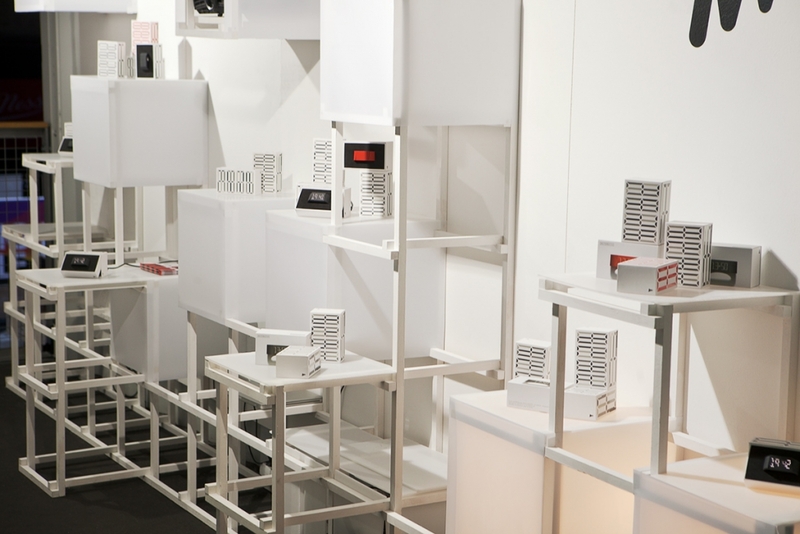 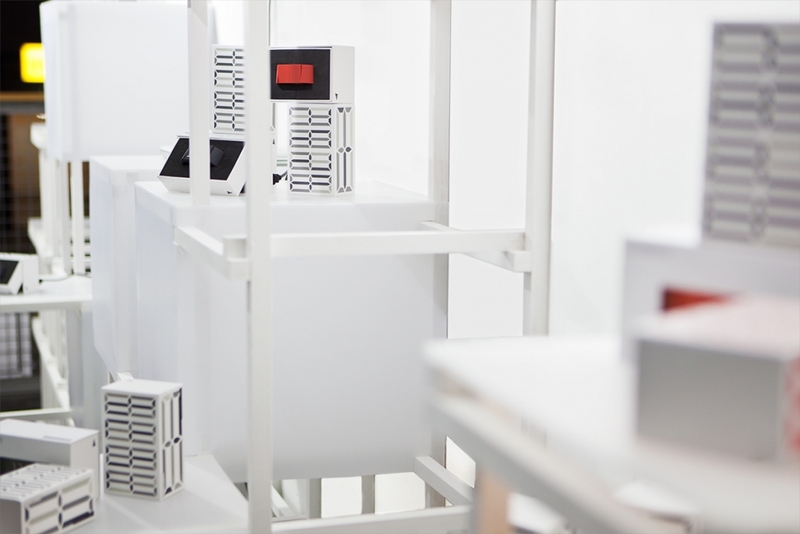 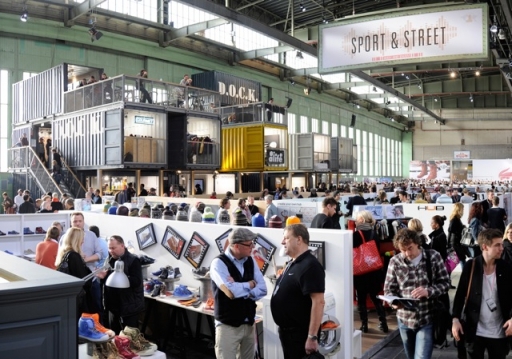 The watch brand Mutewatch from Stockholm visited the Bread and Butter Berlin fair at Tempelhof in January 2012 and Re-Make/Re-Model was asked to design and construct the presentation booth. 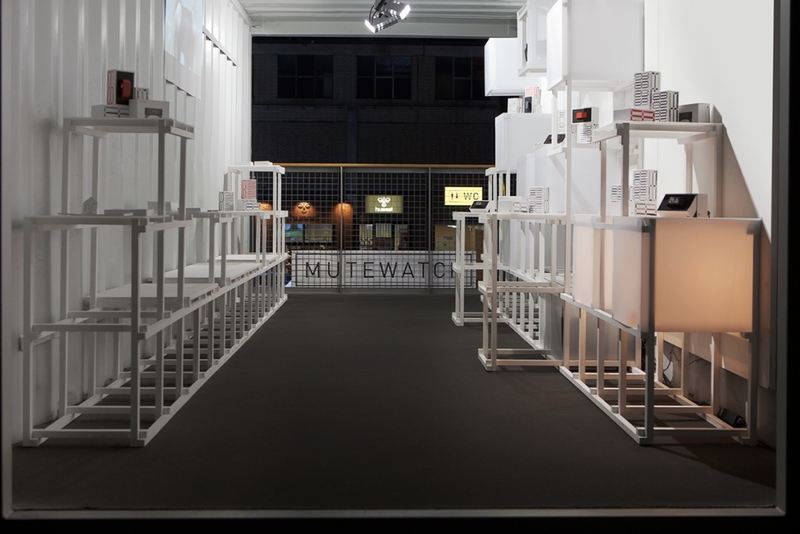 As part of the DOCK area of the festival Mutewatch was given a shipping container to present their product. 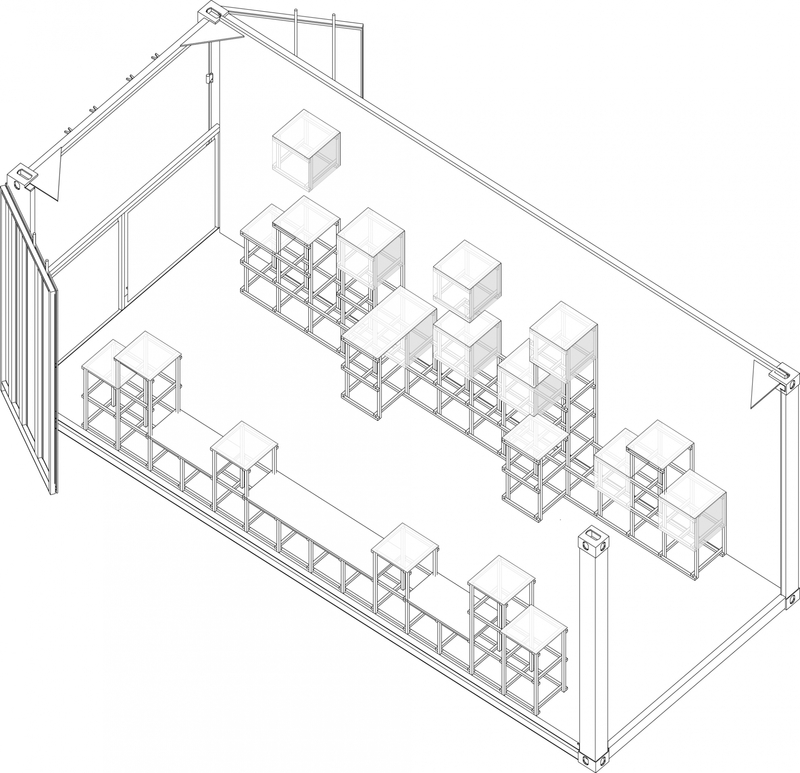 Re-Make/Re-Model came up with a system to create the presentation spaces, seating, tables and light boxes. 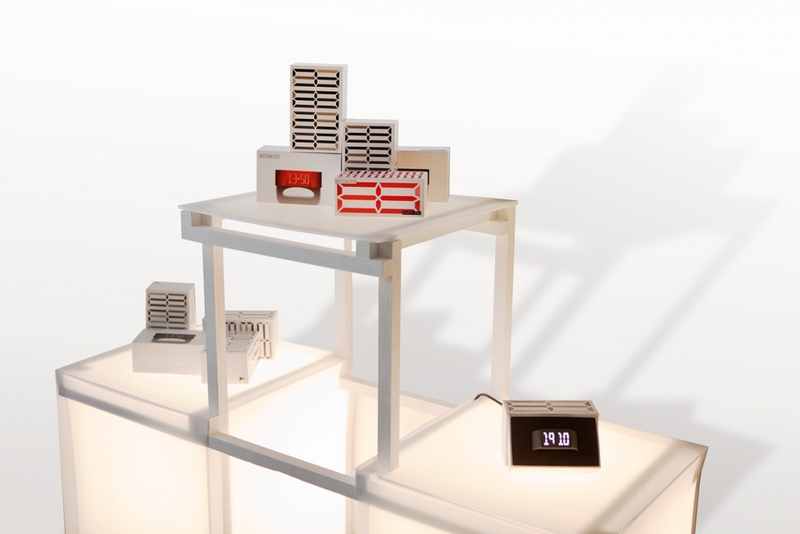 The light boxes lit up creating a fluctuating wave referencing the movement of the silently vibrating Mutewatch.